Every week our development and design teams launch more and more Keller Williams eAgentC website with our new Responsive Refresh looks! These websites now successfully pass the mobile-friendly test for Google, giving them the potential to be a much more accessible website for their users and search engines. 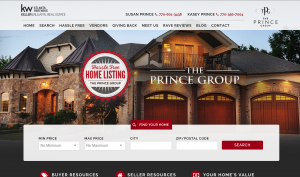 Bianca and Eric worked together to deliver this fantastic look responsive Refresh for the Prince Group. This website offers a lot of great information straight from the menu bar. They easily feature their vendors and their hassle free home listing service. The Prince Group recently started back blogging as well and I’m happy to see such nice informal information being made available for their clients already! Interested in searching by community? This is an amazing website to do it. In Atlanta, Georgia, AC Shelton is featuring 16 communities that he serves most often. This makes it really easy for reader to access. You can also find some great information within his Blog about everything from Short Sales to how to Stage your home. 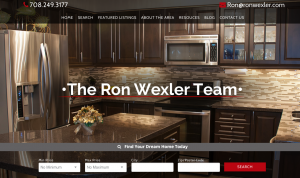 Ron has a luxurious kitchen scene to begin the look and feel of his website thanks to Gesenia’s creative talents. The homepage offers a nice video testimonial and short bios of the team members. Ron and his team are doing a really great job on their website and have begun adding information into their Piggyback Blog already. I’m excited to see all the great info that their clients will soon have access to! 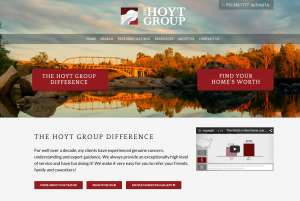 The highly saturated photo that strikes you when you open The Hoyt Group’s website really sets the tone of the website centered in Folsom, California. This website makes a lot of use of video, included a playlist shown on the homepage. Piero did a great job designing this for Forth. 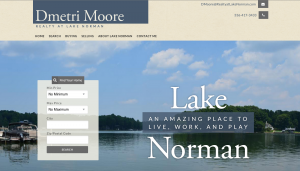 Dmetri Moore’s website centers on living on Lake Norman of North Carolina. Along with a beautiful shot of the lake, you are able to easily begin your home search. With three very distinct calls to action, the website isn’t long in length, but vast in focus. 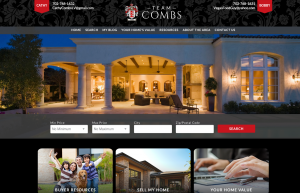 Team Combs’ luxury Responsive Refresh was designed by Tony and developed by Eric. You’re greeted by a beautifully lit luxury home in an evening setting. Bobby and Cathy work together on a team, focused on buying and selling in Vegas. They have a call to action focusing on promoting New Homes in Vegas, as well. 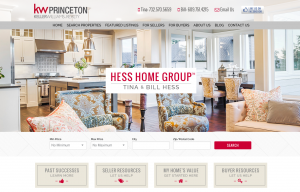 Bill and Tina Hess came to us to take their eAgentC website responsive and the site looks great after its’ redesign by Denika. I love that their Testimonials page includes photos of the homes that they sold to their clients, definitely a nice touch. Not to mention, they are making great use of their blog area for adding content easily and regularly to their domain, search engines love that! Reinna’s abstract look to her eAgentC Responsive Refresh is not common, but it really tells me a story about her! She’s beginning her true Real Estate journey and is excited to be doing everything she can to be the best agent she can. She has been blogging and her posts are very well written. Her focus is Scottsdale and North Scottsdale of Arizona. We’re happy to be part of the process to get the tools she needs to be successful! 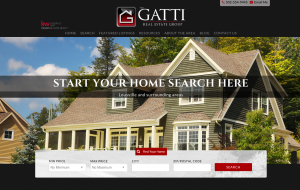 Larry of the Gatti Real Estate Group is ready to dive into his new website and start adding tons of content. He will soon have Community pages featuring property searches. 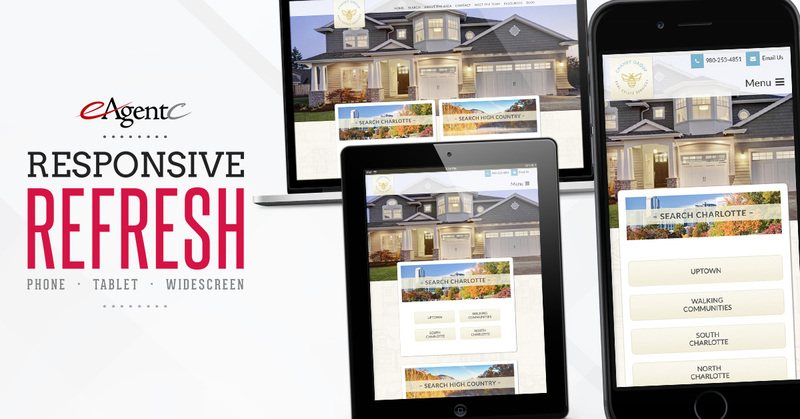 Tony had the pleasure of designing this Keller Williams’ colors focused website for this Louisville, Kentucky agent. 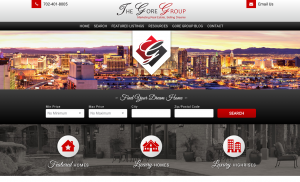 I love the colors of the Vegas cityscape featured on The Gore Group’s website. Denika took the colors from the beautiful photo and carried them throughout the design. Main calls to action show that these realtors want you to see their featured homes, luxury homes, and luxury high rises in the Vegas area. Making it very easy for their clients to explore what they offer and more! 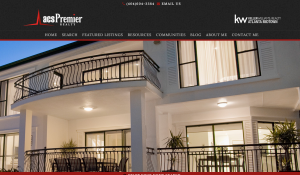 Each week I am more and more blown away by how amazing these websites look up against to their original eAgentC template from Keller Williams. When pulling one up, I have to “check” to make sure they’re not a custom website. Truly beautiful and functional! Worth every penny!